The released political prisoners of the Kremlin, Deputy Chairmen of the Mejlis of the Crimean Tatar people Ilmi Umerov and Akhtem Chiygoz arrived in Ukraine. In the evening of October 26 in Ankara, President of the Republic of Turkey Recep Tayyip Erdogan met with Ilmi Umerov and Akhtem Chiygoz. They addressed to Erdogan with an appeal to help other people illegally convicted and persecuted in the Crimea. The arrival of Chiygoz and Umerov in Kyiv was planned on October 26, but it was postponed to October 27. 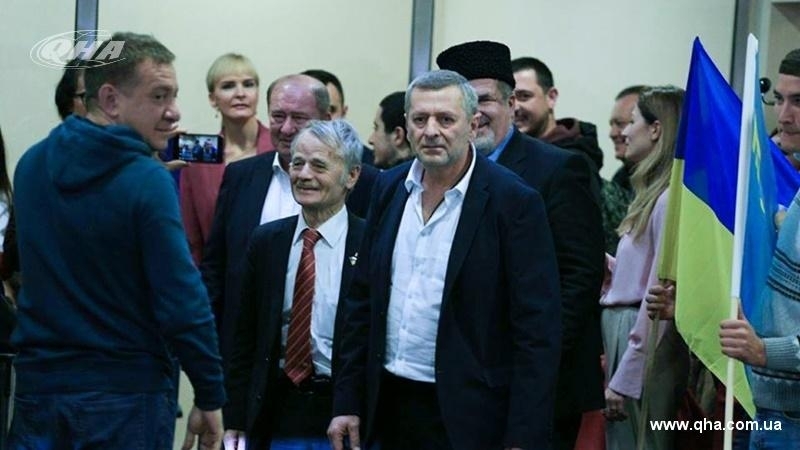 October 25, former political prisoners of the Kremlin, Akhtem Chiygoz and Ilmi Umerov, previously convicted in the occupied Crimea, were extradited to Turkey. Umerov noted that he intends to return to Crimea after several meetings in Ukraine.